Best Practice Advice & Sales & Marketing for Professional ServicesShould we care about the public interest? Sales & Marketing for Professional Services & Sales TipsWill you marry me? by Tony Vidler.One of the great movie lines spoken by the character Dirty Harry was “a man’s got to know his limitations“. A line which always seems to apply to financial advisers. But this doesn’t apply to Olympians does it? I am captivated by the incredible achievements of humans that is demonstrated at the Olympics, and their ability to continually re-define their (apparent) limitations. You cannot help watching them, admiring them, and then wondering how you can apply what they know and do, to the non-Olympic and mere-mortal world we live in. At the London 2012 games 2 athletes standout for me personally, on the basis of how they continually have re-defined their own expectations (or self-limitations). 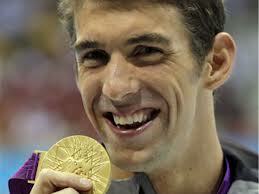 Michael Phelps must be considered one of the greatest athletes of all time, and his record is remarkable. The second athlete to stand out for me is also a swimmer – who did not win a medal. Lauren Boyle, from New Zealand. What a remarkable young lady – and the epitome of a “champion”. She came 4th in the 800m freestyle final. But to get there she had to continue, race by race, to swim faster than she had ever swum in her life. Breaking her own national records to get to the final, and then under the immense pressure of the final of an Olympic glamor event, she lifted another notch again. And at the end of the race, was she upset at getting 4th? Not on your life…she recognized that she had challenged her own beliefs, re-defined her apparent limitations, and found a new confidence and performance level. So what do Lauren & Michael Phelps have in common? An ability to cope with and control anxiety. Source: Psychological characteristics and their development in Olympic champions. Gould, D., Diffenback, K., & Moffett, A. If you want a self-improvement checklist of things to work upon, you will not find a much better list than this one. On this basis, would that excellent pistol shooting Dirty Harry have got a gold medal? I don’t think so…at the very least because he wasn’t too “coachable”, or open to learning. There are a couple of other attributes that he didn’t share with the Olympians either, and we can’t overlook his tendency to adopt a cynical “me versus the world” attitude combined with a mindset of “my way is the only way, and winning is everything”. Brute force as a method of problem solving also has its limitations too I guess. What led me down this line of thought in recent days is the realisation that there are more business owners like Dirty Harry than there are business people thinking and behaving like Olympians. Champions challenge themselves, and are continually focused on incremental improvement, open to new ideas and learning, and reinforce all they learn with sheer hard work. Any professional advisers or professional service firms looking to develop or just get business ideas and inspiration should think about adopting the mindset of an Olympian rather than Dirty Harry. You don’t have to actually get a gold medal or be first in the world to be a champion. You only have to have seen Lauren immediately after NOT winning a medal to realise that. http://www.3news.co.nz/No-medal-but-still-glory-for-record-breaking-Boyle/tabid/1706/articleID/264158/Default.aspxLike this? Then share it with others…or visit www.strictlybiz.co.nz for loads more useful and interesting information. All blogs are the personal views and opinions of Tony Vidler, Strictly Business Ltd, only. They should not be attributed or linked to any other organisation or business that Tony or Strictly Business Ltd may work with at any time.